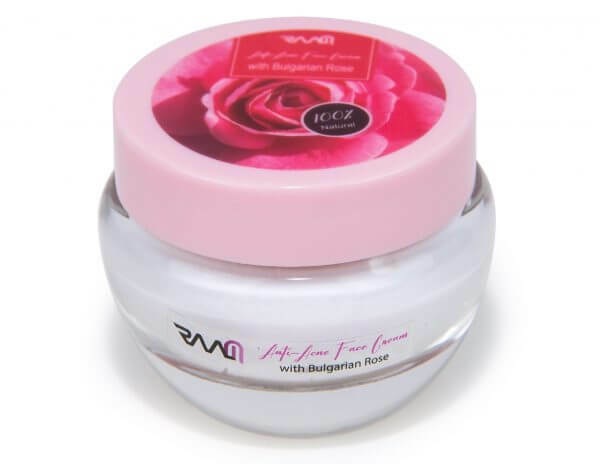 Fight acne and stubborn breakouts while reducing acne-related skin damage with our natural rose acne face cream. 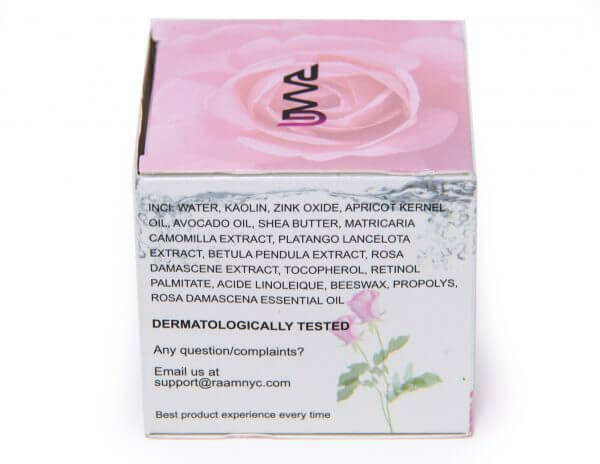 Are you tired of waking up with dull, blemish-prone skin? Are you looking for an acne solution that’s gentle on your skin, regulates oil, and shrinks widened pores? Stop using multiple products for your acne and aging signs! All you need is our all-natural acne face cream. Let us introduce you to Anti-Acne Face Cream with Bulgarian Rose. 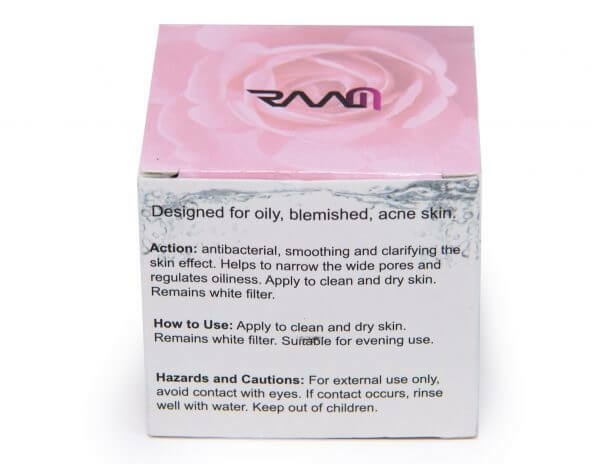 This acne-fighting product with plant-based ingredients has been approved as 100 percent natural and safe by dermatologists and has been tested by an FDA-approved lab in EU. 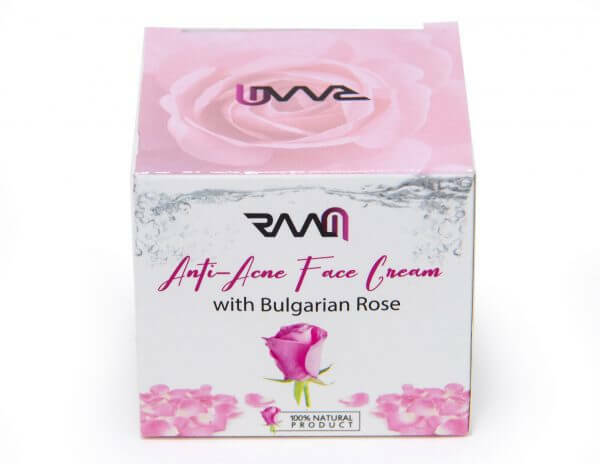 Our natural face cream for acne is infused with one of the world’s rarest flowers — the Bulgarian rose. RAAM’s natural anti-acne face cream offers a variety of benefits in addition to standing up against discoloration and scarring by minimizing the chances of skin damage due to popped pimples. 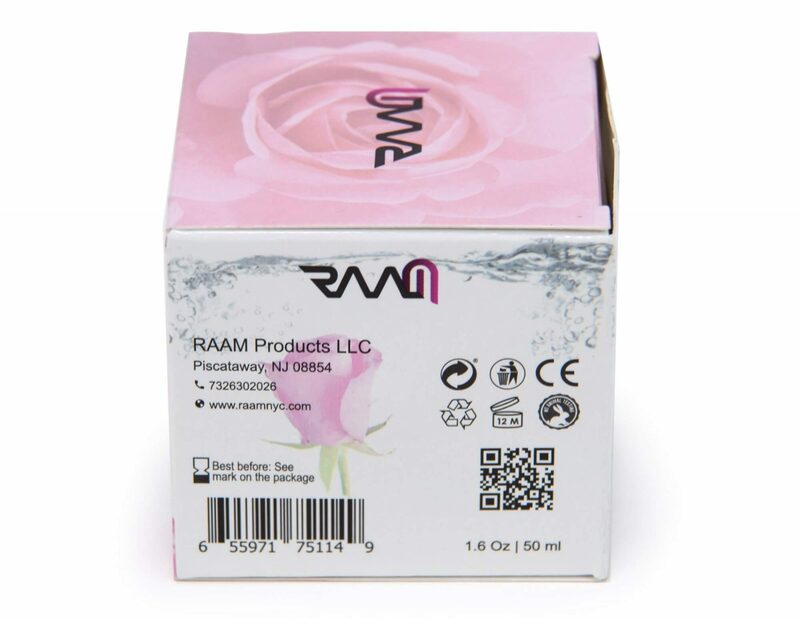 It hydrates and nourishes your skin to maintain an even skin tone and a glowing complexion while fighting acne. Because this product is only 26% oil (Apricot Kernel Oil and Avocado Oil), 23% water, and 51% acne-fighting ingredients, you can apply it to clean, dry skin in the morning and at night. 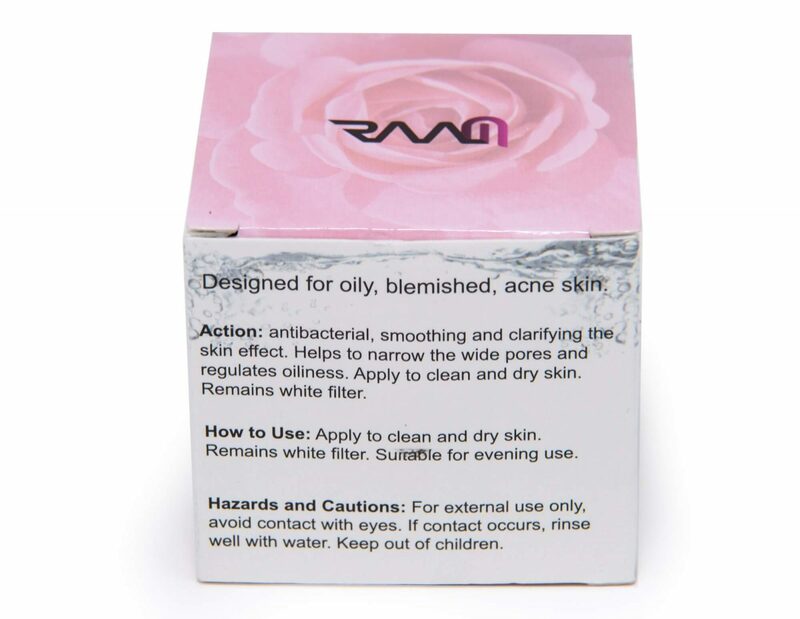 We suggest applying a small amount of this natural anti-acne face cream to your clean, dry skin.